Jungle Red Writers: Halloween Is Over and That Can Only Mean . . . 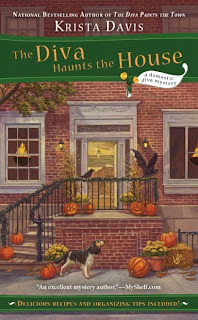 This year my domestic divas were knee deep in ghosts, seances, and vampires in The Diva Haunts the House. Halloween is such fun, and what better time of year for a spooky murder? In spite of the candy corn that might still be hanging around, Halloween is over -- and you know what that means, don't you? There was a time when I didn’t give Christmas much thought until Thanksgiving. Like Nordstrom, I wanted to give Thanksgiving its due. Unfortunately, I don’t have a team of Nordstrom elves to transform my house into a winter wonderland overnight, and somehow, the older I get, the shorter the time is between Thanksgiving and Christmas. Originally, Abraham Lincoln proclaimed the final Thursday in November to be Thanksgiving Day. In 1939, during the depression, Franklin D. Roosevelt moved it back a week to give retailers a longer holiday season. If you ask me, he should have moved it back more! So here’s a little quiz to determine just what kind of holiday diva you are. Note whether your answers are predominantly A, B, or C. And be honest! A. Your home is decorated with gourds, pumpkins, and fall mum displays. B. An orange and gold wreath graces your front door. C. Your Halloween decorations are still up. A. You have sent invitations to Thanksgiving dinner and have crafted acorn and oak leaf placecards, napkin rings, and stemware hangers. B. You have talked to your sister-in-law about which dishes each of you will prepare. C. No one has invited you to Thanksgiving yet -- time to start dropping hints. A. You have already baked two batches of Christmas cookies and put them in the freezer. B. You’re looking forward to baking cookies on cold December days. C. No one will notice if you bring store bought cookies to the cookie swap if you arrange them on a platter or in a tin. A. Your Christmas tree will be up and your house will be entirely decorated for the holiday by the Sunday after Thanksgiving. B. You love to decorate for Christmas but you space it out over a week. C. You’re not sure where you put the Christmas decorations last February when you took them down. A. You shop for gifts the entire year. All you need now are a few stocking stuffers. B. You have already bought or ordered some gifts and can’t wait to go shopping. C. Christmas is on a Sunday this year, so you can shop all day Saturday. A. You have booked serving staff for your holiday party, but you do all the cooking and baking. B. You set up a self-service bar and a buffet for your holiday party. C. The only holiday party you’re having involves a fireplace, pajamas, popcorn, and a funny movie. A. You have already printed labels for Christmas cards to be mailed the day after Thanksgiving. B. There’s still plenty of time to write and mail Christmas cards. C. You haven’t managed to get Christmas cards out for two years. Thank goodness for Facebook, at least people know you’re not dead yet. You are a Natasha. You are Martha Stewart without the magazine and TV show. You plan ahead. You love crafts, and are at your happiest creating beautiful things for your home. Your house is always spotless and ready for company. You cannot imagine living any other way. You are a Sophie. You love to entertain and to be surrounded by friends and family. You keep things simple but lovely. You might make your own wreath, but you don’t think you need placecards at your dining table. People gravitate to your kitchen and sneak tastes. Your home is warm and welcoming, but not necessarily perfect. You are a Nina Reid Norwood. Take-out is your best friend. If it doesn’t come in a box or can’t be microwaved, you don’t cook it. You like holidays, but you prefer to travel so that a hotel or cruise ship does the decorating, cooking, and most of all -- the cleanup! 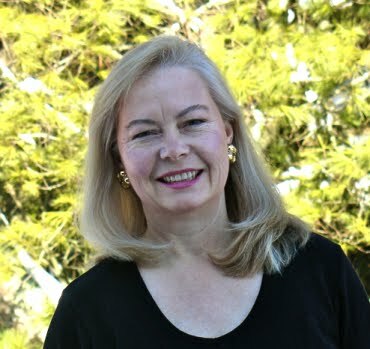 Krista Davis write the Domestic Diva Mysteries. She confesses to being a Sophie, who likes to entertain, but keeps things simple. Her most recent release, The Diva Haunts the House, crept up to number 27 on the New York Times Bestseller list. Two months later, she continues to celebrate this event. Visit Krista at her website and at Mystery Lover’s Kitchen ; where mystery writers cook up crimes . . . and recipes! I was more of a Diva when my kids were small. Doing it for them was fun! Now, I do about half. 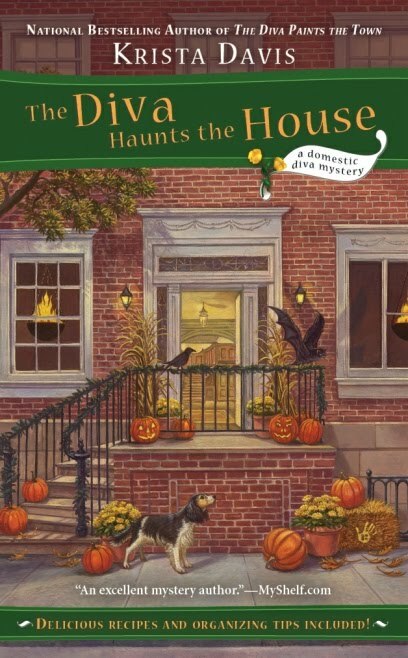 I read the book over Halloween weekend, which was such fun! Your descriptions were vivid putting me right there in Old Towne in the haunted house. My only problem is that when I read Krista's books, I always eat vicariously. Thanks for a fun read, Krista, and keep up the good work! I'm a Sophie! Thanks for visiting Krista. So tell the truth...are YOU a real Domestic diva? A, B, or C? I'm a disaster diva, and mostly recycle the same decorations I've had for years--saves thinking. Speaking of Martha Stewart: more than ten years ago her (parody) holiday "to do" list circulated (I think this was before blogs). The only two tasks I remember from it are: take the dog apart, clean and reassemble; and. if you have sheep, wash them, then roll them in glitter and return them to the field. Sheila, Martha is the classic Natasha. In fact, most Natashas would love to be Martha. I love your name "disaster diva"! LOL! Sigh. My hope is everyone is enjoying the food and the company so they won't notice the tablecloth that I didn't get around to ironing (which SHOULD be 'men's work' but is sadly 'ladies' work') has stains (last year's red wine) and frayed edges. Rosemary, thank you for letting me visit! I am a bit of a domestic diva, but I fall in the Sophie category with occasional nanoseconds in Natasha-dom. I love a house full of friends, good food, and good cheer. It's the season for that! EB, I'm so glad that you liked The Diva Haunts the House! I know what you mean about eating -- I eat while I'm writing the books! Sheila, I love the idea of sheep rolled in glitter! I LOVE the concept of being a Natasha but I am definitely more of a Sophie with occasional excursions in Nina territory...My priority is serving good food and trying to ensure everyone has a good time. Does it count that my "Christmas tree" is still up from last year? It's a barbed-wire 3-dimensional cactus with red chili pepper lights. I think it accents the Art Deco antiques in that room just fine. And Thanksgiving dinner consists of turkey sandwiches and pumpkin pie. Those are the best parts, right? I've got the Divas on my Christmas wish list now! I hope Santa is good to me! Hi Krista! I wish I were any kind of diva. The only time I really go to town is decorating for Christmas. I love my tree and I have a collection of music boxes. This year I'll have 16 people in the house for a week and it will be a case of keeping them fed rather than any hope of elegance. Whoo hoo. Christmas is on a Sunday? That's FABULOUS! I didn't know that--and now all my problems are solved. As you can deduce, I fear I'm a Nina with flashes of Sophie. I'm Sophie with a little bit of Nina thrown in at Christmas because I've found I spend less money the later I start. And luckily I have a daughter who is Martha, who fills in some of the gaps. Love the post, Krista! I fall somewhere between Sophie and Nina--SO definitely not Natasha!!! Sheila, love the sheep rolled in glitter. Maybe I should disassemble the dogs . . .
And I don't want to think about Christmas. My daughter, who is somewhere between Natasha and Sophie, has been planning the TG menu for weeks, and now she's making her Christmas shopping list. Now if she would just do mine . . . I'm a Nina who's a long-recovering Natasha. When my first two kids were small, I used to decorate and cook up a storm. My house was the gathering place for my birth family and my first husband's. By the time my much-younger third child was little, I was a suddenly single mom working and going to school, both full-time, and it all fell by the wayside. Occasionally, I have a spurt of energy and do some small part of the old stuff, but not often. And I've discovered the way to not still have your tree up in Feb--don't put it up, at all. Seriously, my younger sister who never had a home of her own during all those years I was the family diva is now eager to take over that role--and I am thrilled to let her and to ooh! and aah! over all her hard work. Oh, Hallie! Off the platter? I bet everyone still talks about that and has a good laugh over it. I'm sure you immediately brought up the five minute rule! BTW, it's very chic to mix wine glasses, napkins, even china. Our moms wouldn't have done it, but it's in vogue now. You didn't know you were so cool, did you? LOL! Lucy, I know that feeling. But in the end, if you don't use the china for Thanksgiving and the holidays, well, when are you going to use it? Unless, of course, you're having a buffet. No walking around with the good china! Peg/Meg, I think you're exactly right. The important thing is that everyone has a good time. But once, it would be nice to be a Natasha, wouldn't it? Silver, a Christmas tree that stays up year 'round, even if it is a cactus, throws you into category C. You're living the life of a Nina Reid Norwood! It sounds like fun, though. Enjoy it while you can. I got stuck on the first question. Halloween decorations? We were supposed to decorate for Halloween? Oops. I'm a Sophie, sometimes veering into Nina territory these past few years. Mom used to be a Natasha, which can be crazy-making, but now that she's reached 80 she seems satisfied with Sophie-dom! BTW, I've tried several of Krista's recipes, the latest being the Chicken Monster Fingers, (from The Diva Haunts the House & also on her blog at MLK) and they were absolutely delicious! 16 people? Rhys, in my mind I'm picturing the movie Christmas Vacation! May I recommend stashing a couple of bottles of wine in your bedroom for escape, er, nap time. Good luck! Hank, I want to thank you for sampling all the wines so you know the perfect one to bring for dinner. Someone had to do it. And oddly enough, in my books, it's Nina Reid Norwood who samples quite a bit of wine! Thanks for having me at the Jungle today. Jan, having a Martha daughter sounds like a dream come true. All the glitter, none of the work. And I like that little tip about not spending as much money if you start shopping late! Another Martha daughter? You and Jan have trained your daughters well. Maybe you can convince her to make up a shopping list for you . . .
A recovering Natasha! I love that, Linda! I may have to steal that from you. What a sweet sister you are to do the oohing and aahing. I bet your sister loves it -- and you! Mar, what a terrific hubby you have. I bet everything is up by the Sunday after Thanksgiving. Janet, they're not trick questions! ; ) Although you pretend to be a Nina, I suspect you lean toward Sophie! Lynn, you're so sweet! I'm thrilled that you liked the Monster Fingers. Halloween is such fun. I would have guessed that you're a Sophie. Must have been interesting growing up with a Natasha mom! Avery, I'm afraid I know you better than that. You're a Sophie with serious Natasha tendencies. You can try to deny it . . .
Leave before dishes have to be done, because..
Dessert at another friend's house - timing is everything - arrive after dishes cleared from meal, have dessert and coffee, help put dessert dishes in dishwasher. I'm a Sophie - I like a holiday to be family, warm, comfy, laughter, lovely memories, without a lot of frills. Dru, I bet you usually have more than one invitation to Thanksgiving dinner! Nancy Jo, that's classic Nina! LOL! What a great story. Deb, then you're probably a Nina, too. LOL! Ninas are always fun! Krista, love this! One of my favorite parts of the Diva books is the advice from Sopie and Natasha you use to open each chapter -- N's leave me howling, while S's get me thinking "I ought to do that!"